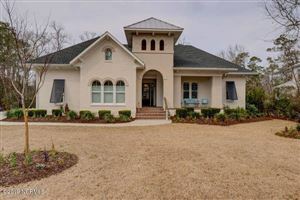 Masonboro Plantation is a luxury residential neighborhood in Wilmington, North Carolina. The impressive homes in this neighborhood include stunning interiors and exteriors in addition to gorgeous views of the Intracoastal Waterway. A community dock sits at the back of the community and has unassigned boat slips, which residents can use at their leisure. Click on the listings below to see pictures, features, amenities, school information, and more. Interested in viewing a home or have questions? Please don't hesitate to contact us. We can help you with this community or any other in the Greater Wilmington real estate market.